The next step for configuring vRA is to configure the endpoints. I will be going through the integration for Orchestrator, vCenter and NSX. Note: If you configure the orchestrator endpoint, then the vCenter endpoint, the NSX endpoint will be configured automatically. I didn’t realize this at first, but found this information out from Michael Rudloff’s blog. Step 1. 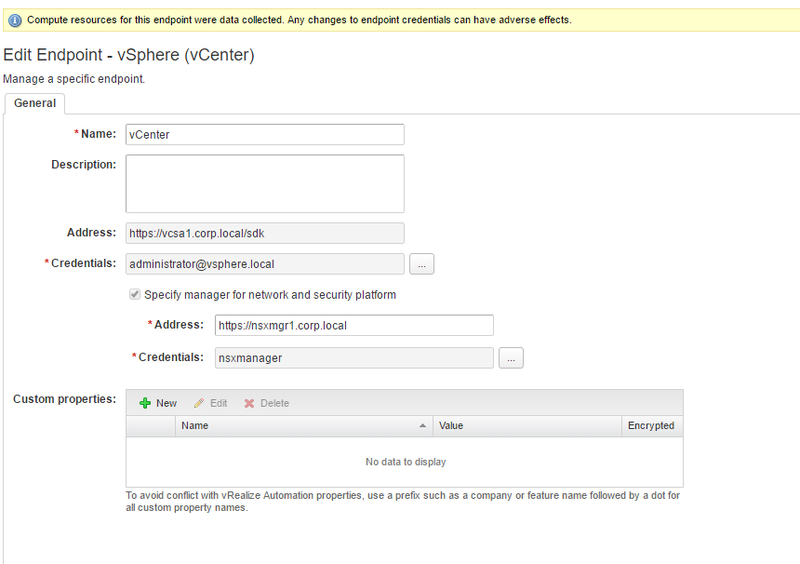 Log into the vRA appliance via SSH and run the following command to start the vco-configurator. Step 2. Navigate to https://FQDNofvRA and click on vRealize Orchestrator Control Center at the bottom. Step 3. 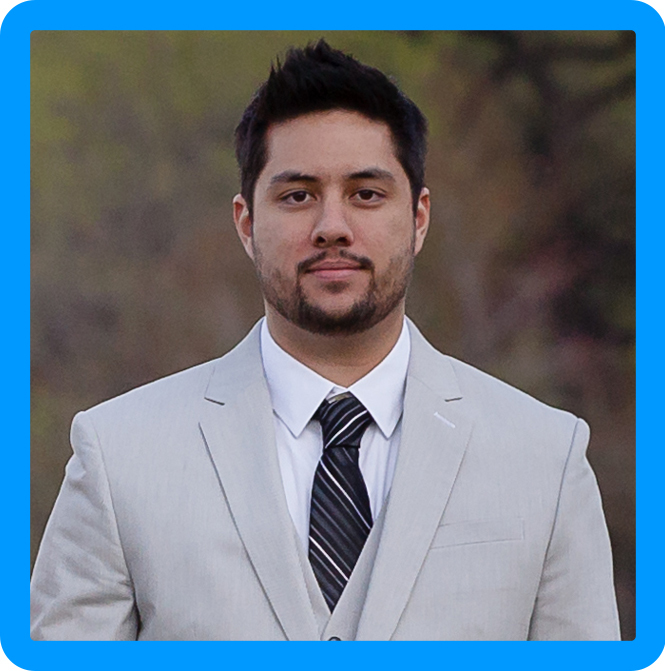 Log back into vRA with the tenant administrator. Navigate to Infrastructure -> Endpoints -> Credentials. Click New and add a vCenter Server administrator account. I used the default administrator@vsphere.local account. 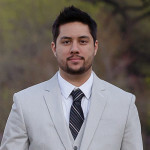 We will use these credentials to create the endpoints. Step 4. Click on Endpoints in the left pane. 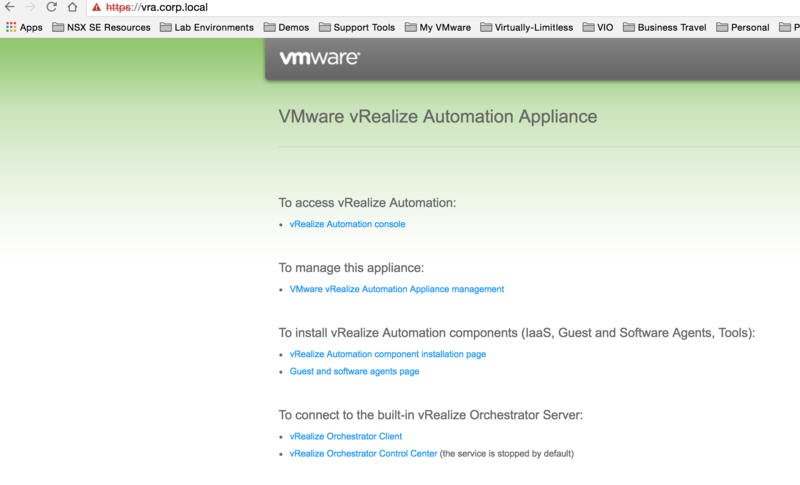 Click New and select Orchestration-> vRealize Orchestrator. Provide a name, address, and the credentials. I the vra-admin account i specified are just the administrator credentials for vRA (Same account to create tenants). Make sure to specify the custom property “VMware.vCenterOrchestratorPriority” with a value of 1 otherwise you will get an error. Click OK. Step 5. Hover over vro -> Data Collection and ensure that the collection succeeded. Step 6. Finally, create an Endpoint for vCenter Server. Select New -> Virtual -> vSphere (vCenter) and enter a name, address, credentials, and ensure that you check “Specify manager for network and security platform.” This is the NSX integration and you will need to provide the NSX Manager address and credentials. vCenter and NSX are now integrated with vRA! I would recommend navigating to Infrastructure -> Compute resources, and ensure that you see a cluster. 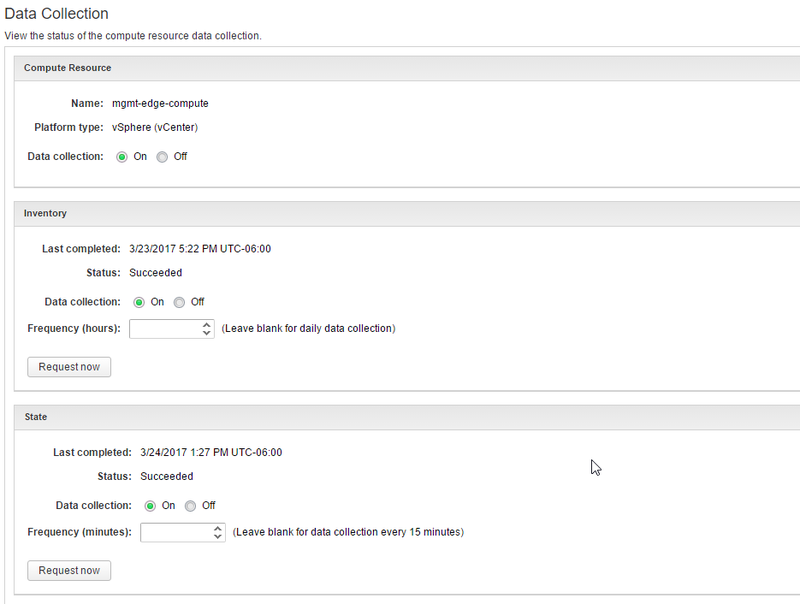 To confirm data collection has succeeded for vCenter server, hover over a cluster, and select data collection. Click on request now, and confirm the status is succeeded for the resources. There are only a few more steps before we can start creating blueprints and using vRA: creating Fabric Groups and Business groups, and configuring reservations. My concern is here that AD integration is one time task or have to add separately in each tenant?